Software requirement for commerce centric Institutions like banks, brokerage and investment service providers, insurance companies etc. differ from other industry verticals. They especially require software that is absolutely accurate, because the finance institutions cannot afford any error in the numbers. The software should be competent enough to do complex calculations like multiplication, division, addition, subtraction, percentage, factorial of up to 10 digit numbers. And at the same time the software should have a simple interface and be extremely user-friendly. Financial Software Applications Development requires not just the knowledge of software development, but also an astute understanding of various financial functions. Like an application for a bank should have the ability to compute interests and an application for an insurance firm should have a premium calculator. ASP.Net programming is the preferred solution for developing such financial applications. For the novice, ASP.NET stands for Active Server Pages, and .Net is pronounced as Dot Net. Through this programming you can create websites, web applications and web services. ASP.Net was developed by Microsoft and they released its first version in 2002 in the market. Since then ASP.Net has been hailed as one of the most reliable web application framework. 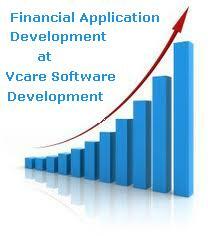 The various reasons that make ASP.NET best for financial application development can be broadly listed as follows. ASP was introduced as an alternative to the static websites. Dynamism was its USP as it enabled the user to engage with the site and the site would generate dynamic web pages according to the user’s requirement. The most popular site which leveraged this dynamism is the e-commerce portal eBay. The execution of ASP happens entirely on the server side. So we can easily discover any unwanted activities of cyber crime like memory/data leaks or technical issue like infinite loops. If such an activity is found, ASP.Net is programmed to immediately terminate these activities and re-start itself. ASP is language-independent, so you can choose any language which is required by your customer. Being multilingual, your application can have a truly global appeal. So when you choose your vendor to avail Financial Application Development Services, make sure that they are proficient in programming and also have understanding of the finance applications.